As you may’ve guessed by now, I’ve joined the “Hot Winter Nights” blog hop that was organized by author Nicole Morgan. Thank you, readers and hoppers, for visiting my site/blog as part of this event. Thank you, Nicole, for your efforts on this blog hop and for welcoming me to it to help with promotion of my new book, “Quintana Roo, Yucatan”. To help celebrate this hop, I’m giving away an e-book to one lucky winner. Click here to enter! You could win an e-book copy of your choice of the following titles. Please click here to visit my Amazon Author Page and learn more about the titles you could win! 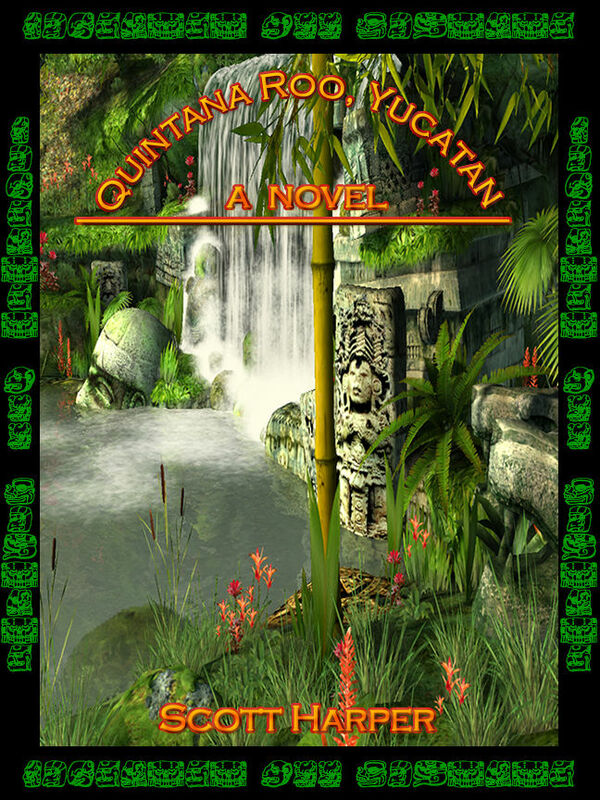 While you’re here, please let me tell you a bit about my new release, “Quintana Roo, Yucatan”. While it has some paranormal and science fiction elements, it’s unlike anything I’ve ever written before. It’s also the longest, coming in at a bit over 105,000 words. “Quintana Roo, Yucatan” also launched a publishing company called Umbral Press. “Quintana Roo, Yucatan” can be found in paperback here, for Kindle here and for most other e-readers here. lurb: Rikki Breitenberg is an archeologist in charge of the first team of American documenters allowed by the Mexican government to explore newly discovered Mayan ruins in the Yucatan. However, shortly after their arrival in Mexico, things go awry. Treacherous jungle, inclement weather and dangerous wildlife are only the beginning. My new book, “Quintana Roo, Yucatan”, has just received it’s first review and been given 5 stars. Visit here for the paperback edition of “Quintana Roo, Yucatan”, here for the Kindle edition and here for most other e-book editions. Next summer Desirée and I will be getting married. With the upcoming wedding costs, we could really use some additional money. To that end, if anyone knows of anyone needing a writer – magazines, comic book projects, producers looking for a screenwriter for a project, etc. – please put me in touch with them. I would be willing to take on ghostwriting jobs, too, and have experience writing copy for business websites. Thank you very much for posting that, Jenn! “Quintana Roo, Yucatan” is on sale on OmniLit – only $2.50 after the rebate: https://www.omnilit.com/product-quintanarooyucatan-1006110-237.html Enjoy the read and please share this with your friends. Please share the URL for my new book, “Quintana Roo, Yucatan”, and that you ask your friends to share it with their friends, etc. Please help me to spread the word about my new release. It would be awesome to see this one become a best-seller; please help that to happen. There has already been interest expressed by a film producer in a movie adaptation of this book!